Our enemies’ aim is to turn brother against brother. Lets not be hasty and lets take time to think it through. Lets not emotions dictate our resolve. Woyane is not the only enemy we have. We have enemies with deep pockets and with many PhDs from many different evil universities. We Eritreans should create an environment where every Eritrean is welcome. Sinners and saints alike. We need Eritrean statesmen to bring all Eritreans together. Stop pointing fingers. We need to grow up. Our nation Eritrea is what matters, not politics. We need to learn how to agree to disagree. An Eritrean that disagrees with you is not your enemy. This mentality that says “you either are with us or against us” should stop already. For our peoples’ sake grow up please. This message is to all Eritreans with all political persuasions. Thanks. God save us all. May God bless our nation Eritrea. It’s funny! Thank you TN for the good laugh. 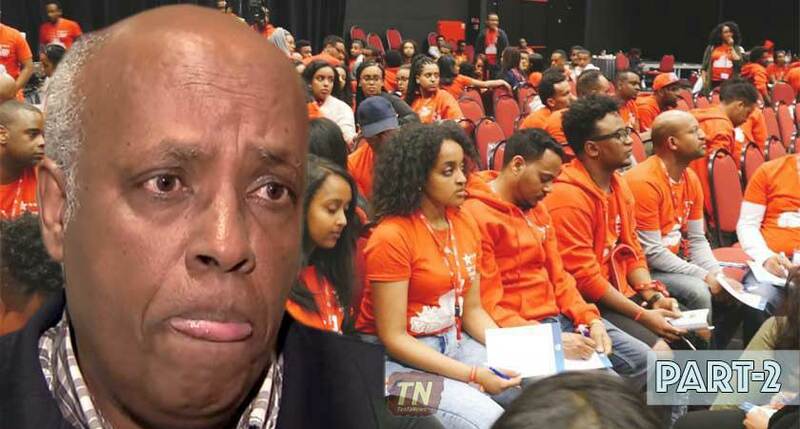 ዘይምምሃርን ድማ ንዕርበቶም መጥፊእኦም እዩ። If not they will learn the hard way. It takes as long as three generations of hard work, three generations of sacrifice – Happy Independence! this kind of character-assasination are written by one person hiding and using different pen names. just so you know, we know. He knows hardly any or else he would have not hesitated to uncover it. take of the tin foil hat loser. what has that got to do with the brilliant article written with the evidence to back it up? There is no evidence. It is all lies. It is a matter of time before these sickos turn on Yemane himself and start writing “Yemane GebreAb menyu”. lol. That’s how the Isaias defamation machine works. What a hypocrite!!! You accused the author of “character-assasination” and four hours later your returned back to spread your own character-assassination. Shame on you! LOLLLL…. great catch, this “sham” returns in just “four hours” to do the same thing he previously denounced about. Indeed, hypocrite is the right word. Many Methods, Strategies, and Plans had been attempted and failed to show a lasting results by those who are directed and controlled by the White Women or Men, Hired Journalists, Missionaries and other Anti-Eritrean so called “activists” ( mostly under the pay-roll of Malelit). Their opinions, consciousness and intelligence is manipulated by unseen mechanism and invisible governance of their masters. It is she who (in this case the white lord/mistress) pulled the wire that controls their mind. She provided her slaves blueprint to follow through without their knowing about to do. 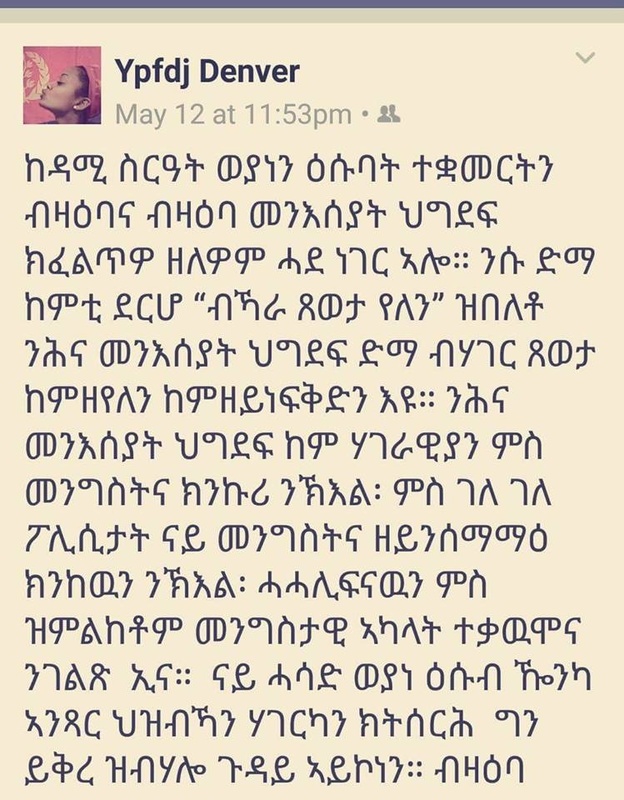 እዚ ነገር ናይ ብሓቂ ትአፋፊ እንዳኮነ ይከይድ ስለ ዘሎ .በጃኩም ከምዚ ዓይነት ሓበሬታ አብ እዋኑ ዘርጉሑልና. ስለምንታይ ውዲት ወያነን ኮራኩሩን ክንነቅሓሉን ክንምክቶን እንተኮይና እዋናዊ ሓበሬታ ከድልየና ኢዩ .